There’s this man you like and you really want to go out with him, so how do you attract a man you like to you? There are lots of methods of course, and there’s lots of advice out there from different writers when it comes to attracting a man. However, today we have some straightforward advice on how to present yourself and what body language to use when it comes to how to attract a man you like. The point of the advice below is that you should know how to attract a man who is nice, rather than a creep. After all, you want to attract guys that you like, don’t you — you don’t want to attract creeps! Our advice is below, but first a couple of related resources that are well worth visiting. In How To Attract a Man we have an article by a relationship expert which asks “When do you know if he’s right” – well worth checking out and there’s an associated ebook and course. On a related note Men Made Easy is an ebook, work book and MP3 audio package about how to have a good relationship with your man. By the way, if you’ve come to this page by mistake and you’re actually interested in knowing how to attract a nice woman then go here: How to Attract a Single Woman. Attracting a great guy, a nice guy who will treat you well and isn’t self-obsessed has to begin at the basics of how you present yourself. Naturally you will make an effort to present yourself at your best and a big part of this is the clothes and make-up you use. Most guys like natural-looking make-up on a woman, or as natural-looking as possible. Don’t hide behind heavy mascara and a ‘painted-on’ look. This will look as if you are trying to hide something, or as if you are very unconfident, both which could be turn-offs for a guy. Next, pay attention to your clothes. If you want to attract a man you are going to like rather than attracting a creep, then you have to ask yourself what kind of image are you trying to project to guys through the clothes you choose to wear. For example, if you wear something very revealing then some men could interpret this as you offering more than you probably want to. This is potentially a controversial area, but it should be obvious that you are giving out a different kind of message about what kind of person you are if you wear something very skimpy indeed as compared with something a little figure-hugging but not too revealing. To say this is not the same as saying that in a situation where a man takes advantage of a woman that the woman is to blame. In this circumstance the woman would not be to blame no matter how she was dressed. My point is though that if you want to attract nice guys then you have to dress in a way that presents you as a nice girl. OK, what next? If you are looking at a man you like on the other side of a room then you can smile at him when your eyes meet, then wait for him to make the first move. Does he smile back? Is he interested? Try to read his movements and body language to see. When he comes over to talk to you be friendly and confident. Act in a mature way and don’t ‘throw yourself at him’. Speak to him as to a friend but don’t start telling him your life-story. Be natural and not artificial in your conversation so that he will come to appreciate you as an interesting person worth getting to know. If you can find things you have in common during your conversation then you will be forming the basis for a continuing friendship. Relationships of whatever kind and whatever level depend on having things in common and shared goals. So look for interests that you might share, outlooks on life and attitudes towards things that you have in common. If you like him be prepared to take an interest in other things he likes that are new to you and expect the same of him, for a good relationship should be equal. 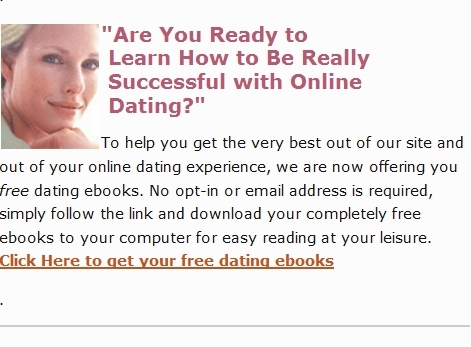 How To Attract A Man Online – Want to find and attract a man? Just use the panel to the top of this page to access the photo profiles of nice men online in your area looking for friendship or love… A good way to get a boyfriend. We would like it very much if you are prepared to bookmark this How to Find a Man You Like page. Even more if you can social bookmark it. Thanks you your participation. © 2010 – 2012, SingleDating. All rights reserved.